Tom Perez, the Democratic National Committee’s chairman, spoke Monday at Brandeis University in Waltham. The Globe interviewed him, and questions and answers were edited for brevity and clarity. Question: You know former vice president Joe Biden quite well. 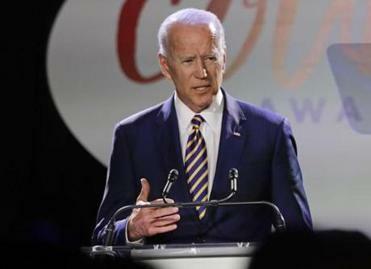 What do you make of the allegation from Lucy Flores in Nevada that Biden made her feel “uneasy, gross, and confused” when he kissed the back of her head at a 2014 Nevada rally? What about Biden’s response? Perez: I do know the vice president very well and have great respect for him, and I have great respect for Lucy Flores, as well. The vice president has said she should always feel free to share her experiences, but at the same time he’s been pretty clear about his impressions of this situation. And I think people have known the vice president for decades and will judge him on his lifetime of service. Question: Do you hope his behavior changes? That’s what Lucy Flores said. Perez: I think people who know the vice president well understand that he’s a very warm and empathetic person. That’s who he is, and that’s been a been big part of people’s affection for Joe Biden. Former aide to Conn. congressman tells of behavior at 2009 fund-raiser. Question: The first debates are in June. Do you expect 20 candidates to qualify for spots on the stage? Perez: We set the stage for it, and it will be a function of how many [candidates] get in. I just don’t know, because there are some people from, say, Massachusetts who continue to talk about whether they are going to get into the race. We’ve been very transparent for months about what the criteria is and whomever meets that criteria — up to 20 folks — will get in to the debate. Our north star is fairness. And that’s why I think that random assignment for the first two debates is really important because if we set up a JV-Varsity kind of construct, then I think it unfairly disadvantages half the people in the field. Question: In New England, the biggest political question is arguably whether Senator Susan Collins in Maine will have a serious challenger, and will it be Susan Rice? When will we know these answers? Perez: We will know soon enough. One thing that is clear is that she will have a serious challenger. I am confident that Democrats will field a good candidate there, and whomever emerges from the primary — remember the DNC will not be intervening in the primary — we are not going to be waiting until the end of the primary to start investing. Question: So who will be that serious challenger? Perez: There are a number of people looking into it. It is plenty early. I don’t worry about that right now. And as you probably know, there are resources from whomever wins the primary, so the imperative of getting in early is slightly lessened by the fact there are people outside of Maine who are going to have a long memory for that race. We had a historically challenging map in 2018, and we have a much better map in 2020. We have opportunities in Arizona, Colorado, Carolina, Georgia, Maine, and elsewhere. I feel very, very optimistic about our chance to retake the Senate. Question: The guy of the moment now is Pete Buttigieg, someone you ran against for DNC chairman. Do you ever look at this field and say maybe I should have run for president? Perez: Absolutely not (laughter). No, I think there is a deep field of candidates for president. I think it is the most diverse field ever, both in terms of race and gender. My job is to make sure that everyone gets a fair shake. Question: Do you want to be chairman again? 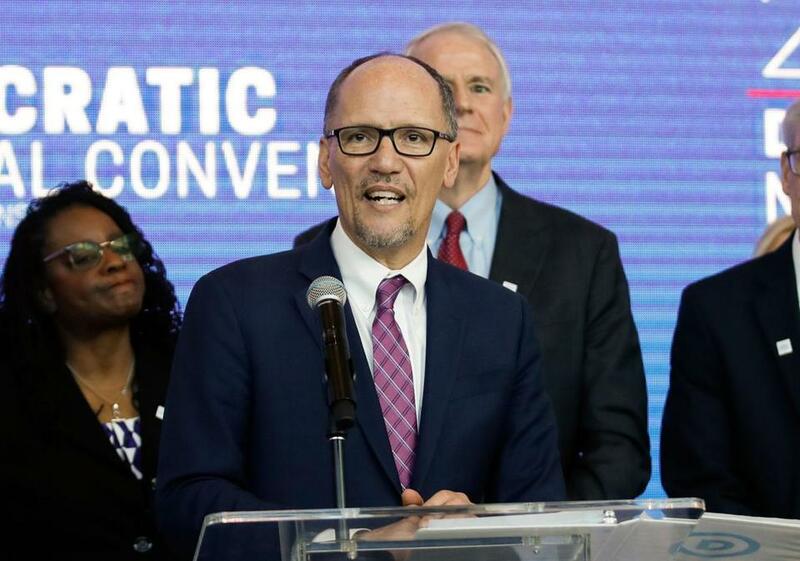 Perez: No, this is a one-term job. James Pindell can be reached at james.pindell@globe.com. Follow him on Twitter @jamespindell or subscribe to his Ground Game newsletter on politics:http://pages.email.bostonglobe.com/GroundGameSignUp.